Weather was looking good again last weekend and we were bouncing options what to climb in one and half days we had. West face of the Aiguille du Plan was in the leading category but should we repeat quite often climbed W face direct which looks super fun or should we get ready for hard dry tooling on the rarely done Bonnington’s line? With only two known ascents we took the latter. West face of the Aiguille du Plan. I’ll draw a line once I get home. Bonnington/Tejada-Flores got it’s FA in 1963. 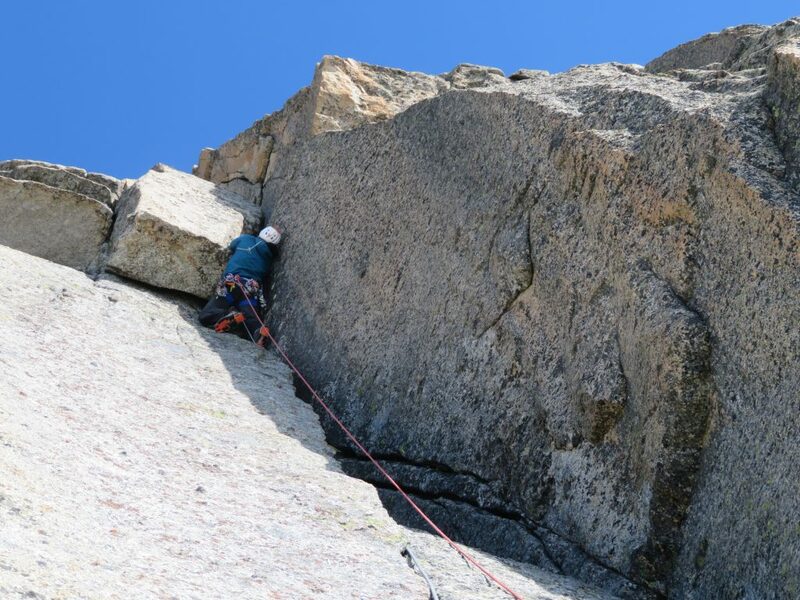 Huge and obvious corner high on the west face waited probably 51 years for it’s second ascent when local dry tooling experts, Jeff Mercier and Korra Pesce freed the line as a M7 in 2014. They approached the corner via Goulotte Valentine because original route follows a rocky spur and has been under some rock fall action in recent years. And I think Goulotte Valentine makes the line more logical, fun and suitable modern outing. 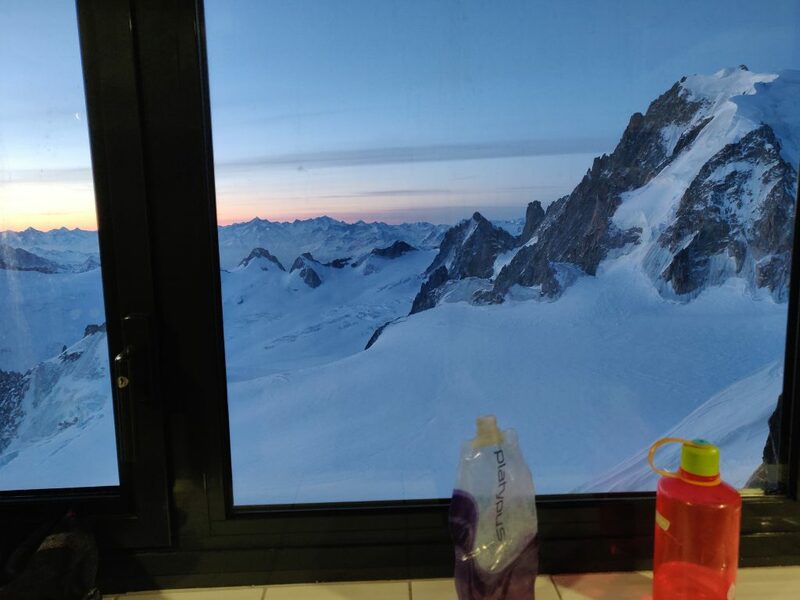 We took a 07:40 lift up to Plan de Aiguille on Sunday morning and hiked up to base of the goulotte where we roped up. We found three really entertaining pitches full of fresh waterfall ice right off the ground. Short sections of proper climbing but they climbed well. First pitch was M4, second 90° ice and third again M4. Ice was a bit deattached at places but made going more fun. Rest of the gully was speedy, simul terrain to the base of the Bonnington corner. I think Goulotte Valentine would be a nice route to do on it’s own in these generally dry conditions. 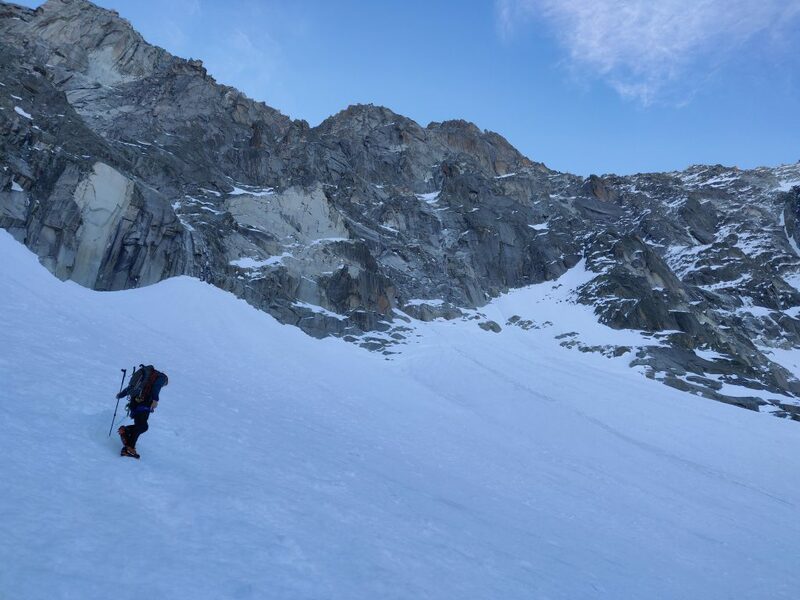 There seems to be 20m steep dry tooling or rock climbing part to exit the couloir but after that speedy terrain to the summit of Aiguille du Plan. Go do it! 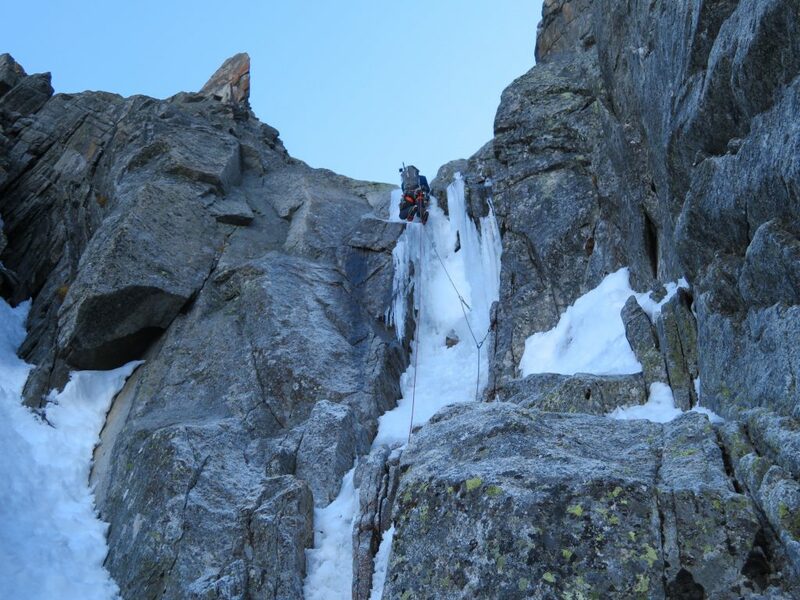 Juho climbing 90° ice pitch. So much fun! Nice gully. Valentines rock crux visible above. Who’s keen! 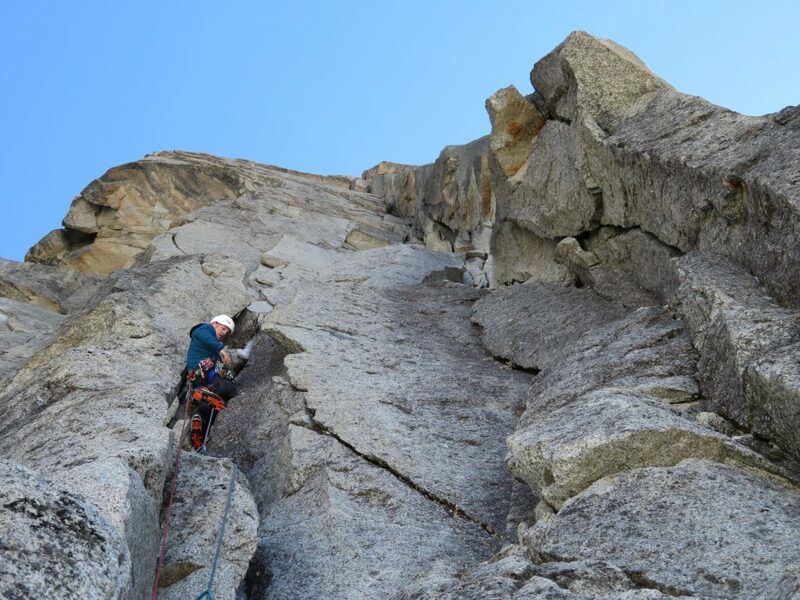 Our corner should include six pitches of climbing at M4, M5, M5, M6, M7 and M4. Etienne did the first M4 which was approach like and then continued with two harder ones. I was supposed to do middle pitches but our stand places forced Etienne to climb both of the M5’s. Climbing was blocky but there was some loose blocks to avoid also. Due to fact that route is so rarely done I guess. Etienne on the first dry tooling pitch. Second pitch. Corner looming above. Third pitch with some loose blocks. Don’t touch them! 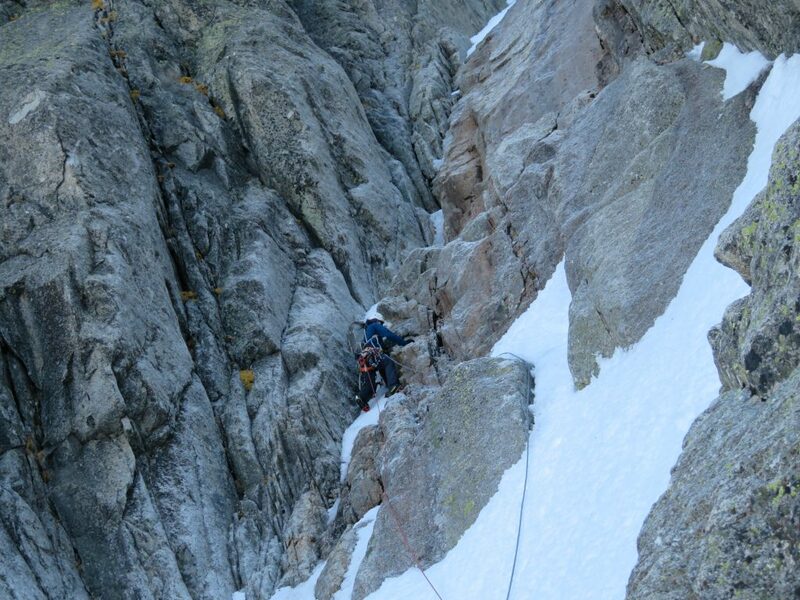 I jumped for the fourth pitch and was a bit scared as I watched Jeff’s video from the route night before. Wide cracks, so be it! Luckily once I got to “the scary part” I was eagerly looking for better protection and found out that there are some holds and cracks outside of the wide monster. So I pulled myself out of the dark hole to the sunny face. Few airy moves brought me to a suitable place to make a belay. How nice! Etienne following. Pitch number four. Etienne followed and got ready for the crux pitch. Cracks above looked more like a rock climbing terrain but now we had to deal with winter climbing gear. Super nice finger crack and long reach back to the corner looked fun but then Etienne’s pace slowed. An offwidth part looked hard enough and required several back and worth moves to commit to it. Followed by a roof and good rest though. Then it went wild. A chimney. I mean full on chimney with no protection or holds for a few meters. Lonely chockstone too far away to be used yet. Somehow he reached two thin, hanging seems on the right side of the chimney. Unfortunately his ice axe ripped due to breaking rock and sent him flying. An old piton held. No wasting time Etienne finished the pitch without another fall and hauled our pack up. It was my turn to second the pitch but after the finger crack I had nothing to give. Wide parts were just too bizzarre. 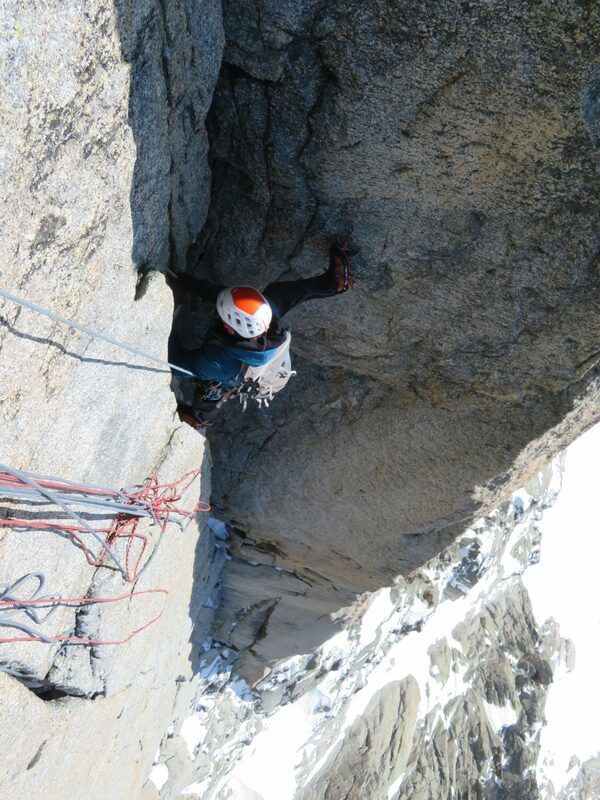 It definately was the hardest pitch I’ve seen on the mountains. I couldn’t believe how Etienne managed to climb it up with only one fall. 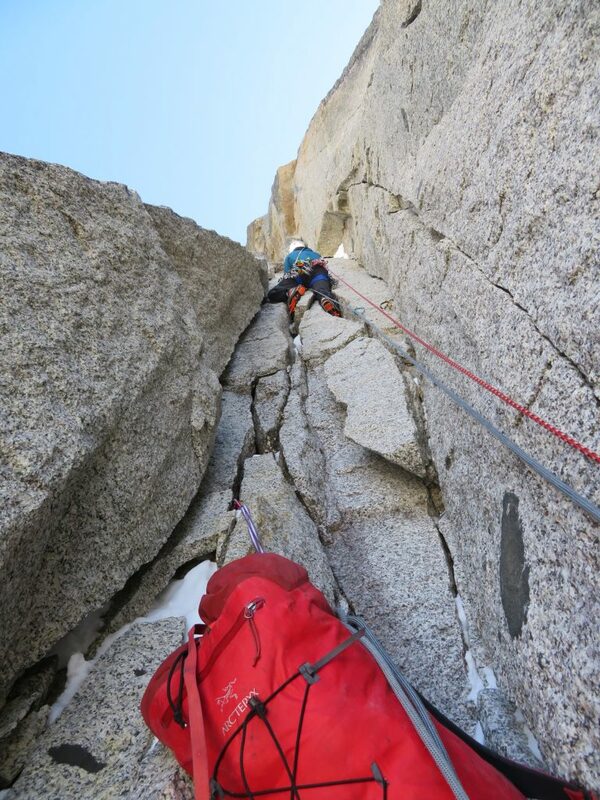 It also made me respect Bonnington’s team effort and dry tooling skills of Jeff and Korra. Maybe with rock climbing shoes there would have been a change for me too but hard to say. Etienne said it felt harder or at least as hard as some M8’s in Rive Gauche but who knows. 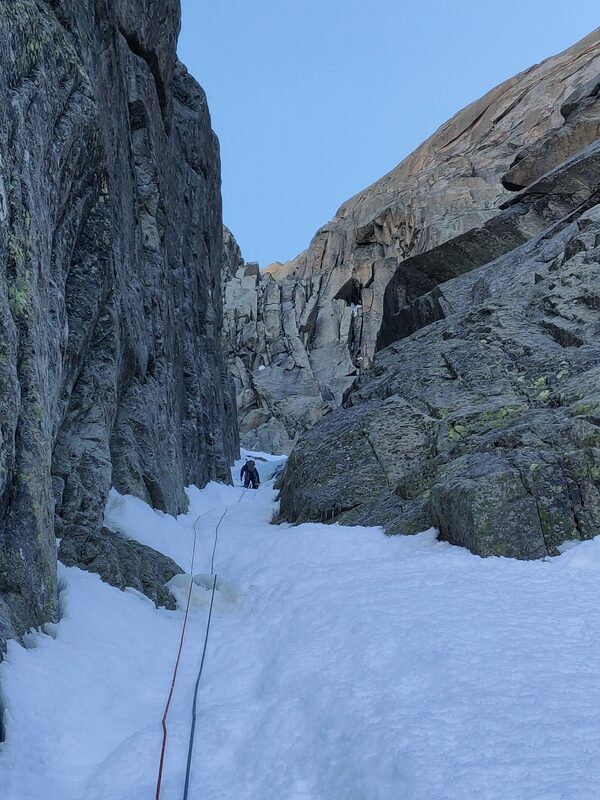 Start of the bizzarre crux pitch. Looks easier than it is. So hard! I finished the corner with another M4 which felt hard after getting spanked by the fact I couldn’t climb the crux pitch free even as a second. 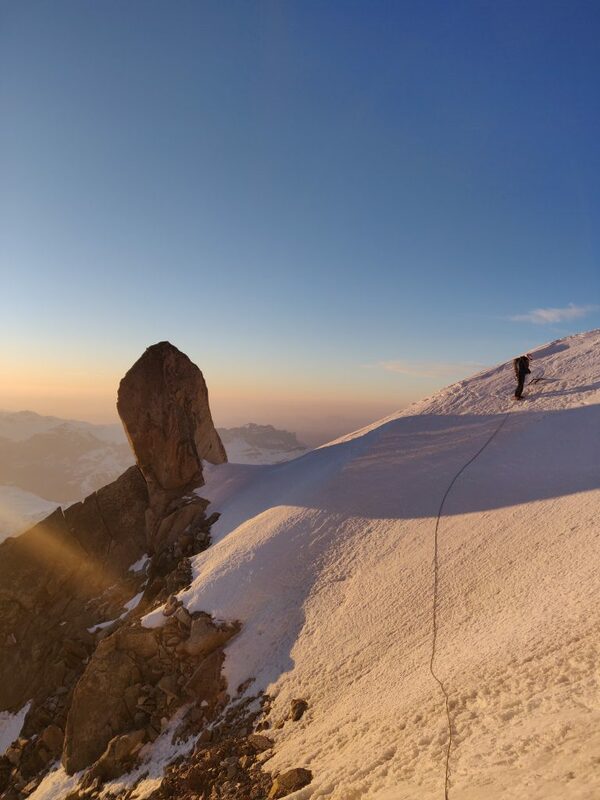 It took us so long to fight up the crux that sun was already setting. 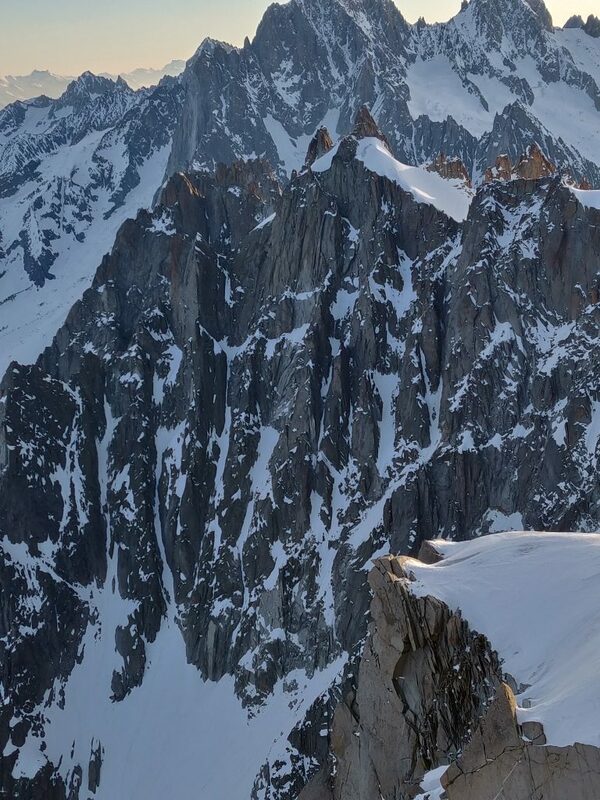 Location and the moment made me feel the magic of alpinism again which was lost for a little time. Maybe due to so much cragging past year when all the focus is in a one 20m route you want send so badly. You lost being part of the nature easily. One of the alpinist magazine moments. 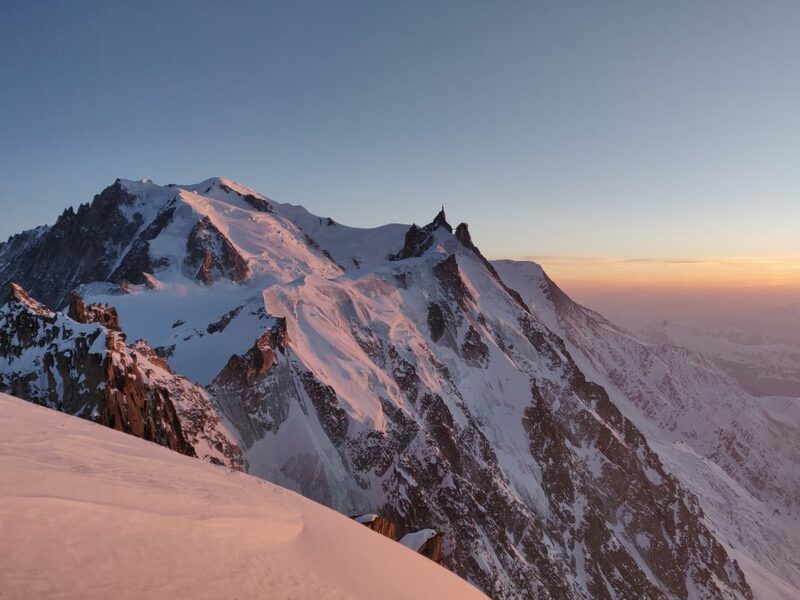 We decided to skip visiting the true summit of Aiguille du Plan and hurried for the Midi-Plan traverse in a escaping light. Maybe it takes away our possible third ascent of the line but this time I don’t care that much. 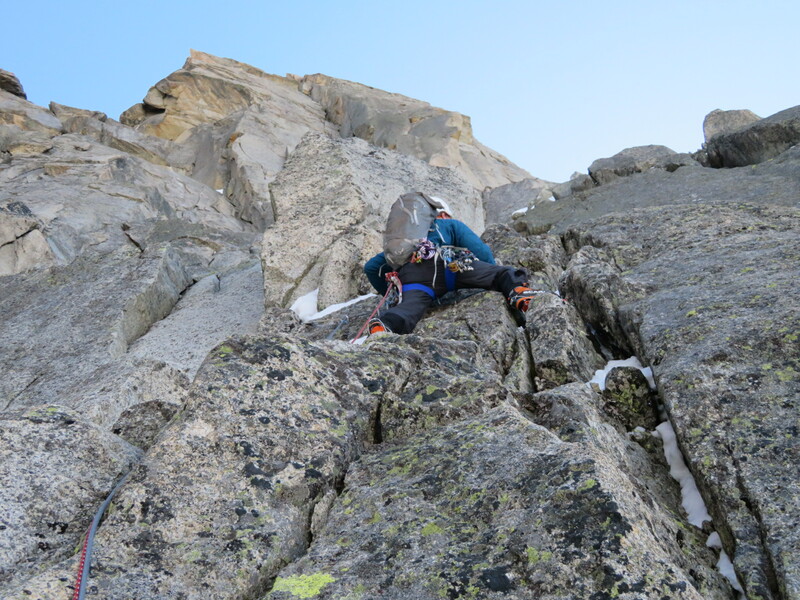 Main idea was to climb the headwall corner. Anyway I’ll back for the W face direct and remaining few meters to the true summit one day. Midi-Plan or actually Plan-Midi traverse took several hours despite having a track ready from top of the Rognon to the top station of Midi. We crashed to the toilets just before a midnight. Carrying a sleeping pad each and one sleeping bag came handy finally. Nice route. I didn’t like the crux pitch at all but otherwise climbing was enjoyable and good. Better than following Mallory-Porter train for sure. Big thumbs up for Etienne too! What a fight!